Some of Japan’s most enthralling art collections are private, and finding them can prove challenging, especially when directions are in Japanese and nailed to lamp posts. But if you like your Picassos, Van Goghs and Renoirs with a little adventure, bookmark these off-grid museums uncovered by Jane Adams. The Japanese aesthetic wabi-sabi refers to a mindful approach to everyday life. It’s a Buddhist approach that seemingly underpins the beguiling private art collections of enlightened Japanese philanthropists. 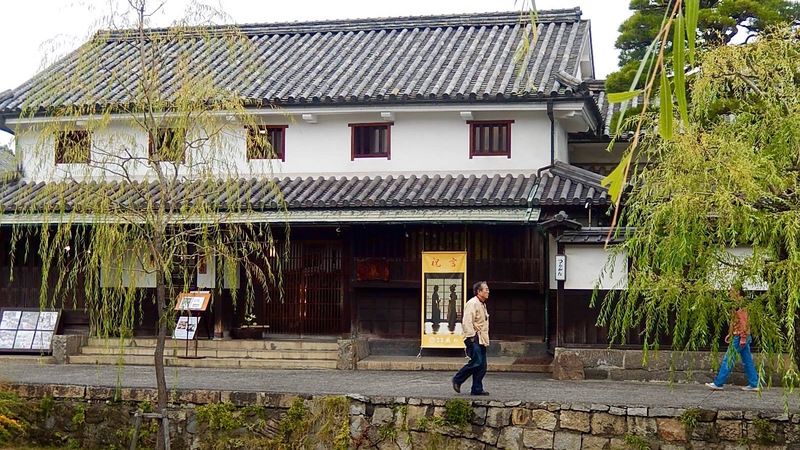 The oldest private Western art museum in Japan is the Ohara Museum of Art in the postcard-pretty inland canal town of Kurashiki, a placid city where couples stroll under drooping willows, looking for all the world like players in a Hokusai wood-block print. TIP: Stay at this low-key traditional ryokan for your kaiseki dinner, tatami room and Japanese breakfast: Ryokan Kurashiki. 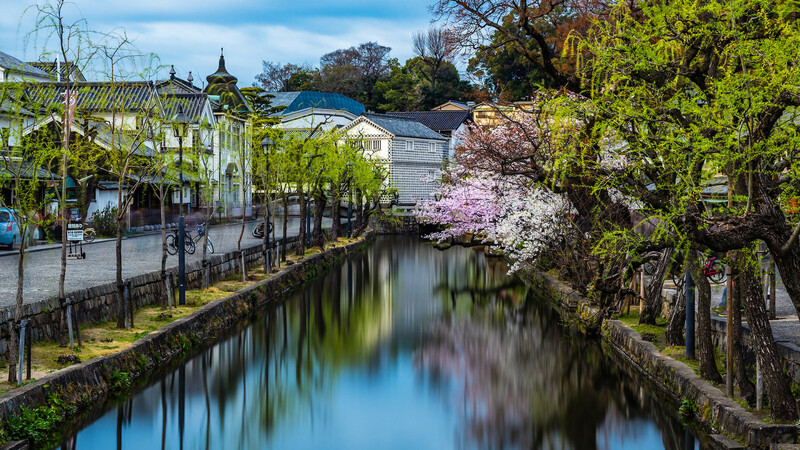 Located in the Bikan Historical District, its narrow streets are lined with traditional kura or storehouses and the former homes of merchants, recognizable by their thick black and white patterned walls and shiny black tiled roofs. Small boats drift through the willow-lined canal, a perfect way to experience this traditional and timeless quarter. Half the fun is getting here. Take the Number 4 bus from Shimoda station for a short ride through verdant countryside. Alight with bowing thanks where the driver tells you, take the road on the right near the general store. The haiku-inspiring short walk through persimmon groves and rice paddies (following colour-coded signs) will set your spirits soaring, but there is more. Here in remote countryside is pharmaceutical tycoon Shoji Uehara’s bequest to art appreciation. 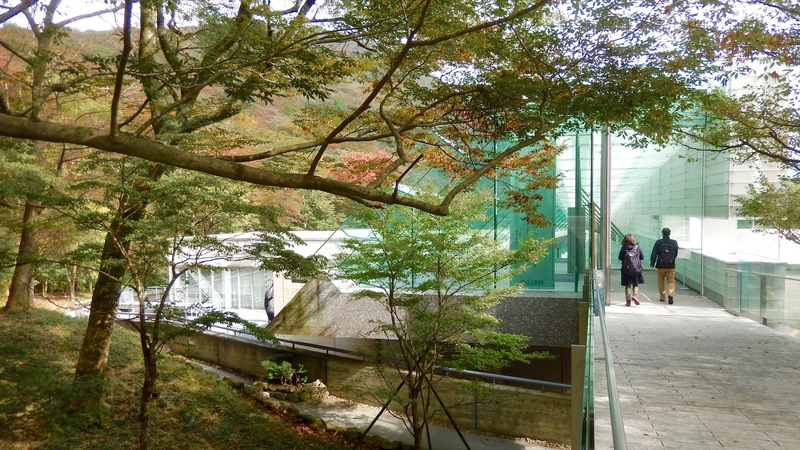 The newly built traditionally themed Uehara Museum is a remote jewel housing more Monet, Cezanne, Corot and Renoir. 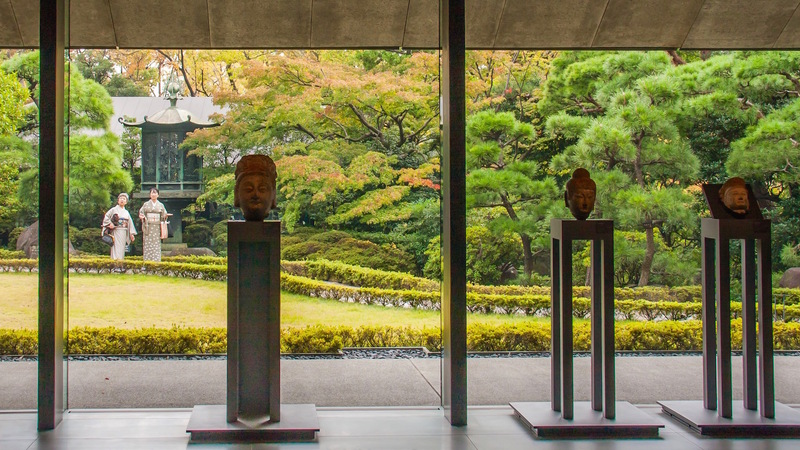 Be sure to take the complimentary tea in the lounge overlooking the Henry Moore sculpture before heading into the adjacent Museum of Buddhist Art, the Uehara family’s latest bequest. TIP: Shimoda is the gateway to the Izu Peninsula’s renowned coastline and surf beaches. Most visitors to Tokyo find Hakone National Park en route Mt Fuji, drawn by its autumn scenery, onsen (hot springs) and plethora of ryokan. 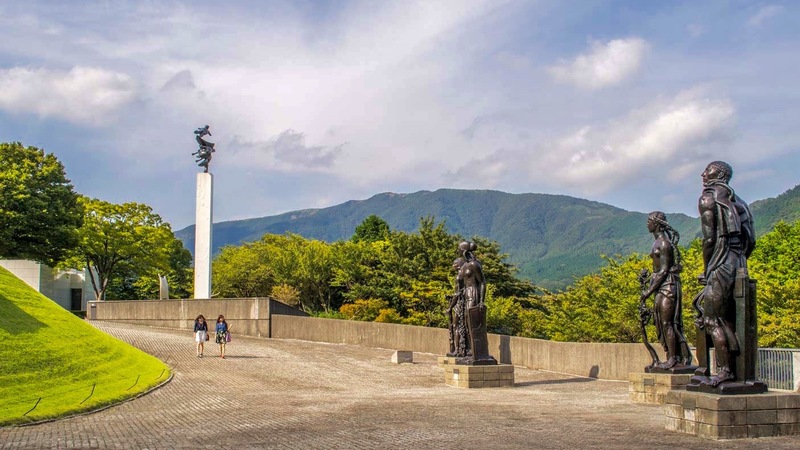 Some get off the local cable car one stop before Gora to visit arguably one of the world’s most inspiring permanent open-air sculpture collections set in the forested hills of the national park. Chose a blue sky sunny day for your stroll and marvel at the 11 Henry Moores, Rodin and Miro installations. Smaller pieces by Giacometti and Brancusi are housed indoors. Detour into the Picasso pavilion before saying a quiet thank you to the generous Fujisankei media conglomerate for a spirit-soaring al fresco art walk. TIP: Take a picnic lunch and soak your feet in the museum’s hot spring. A pilgrimage to Pola should be on everyone’s bucket list. It’s an easy addition if heading to Hakone, as this stunningly modern, glass-dominated edifice by Nikken Sekkai architects is just a short bus ride north of Gora. Here again the lure is French Impressionism, and the catalogue lists more Monet, Renoir and Picasso but also Bonnard, Chagall, Dali, Degas, Dufy, Leger, Matisse, Miro, Pisarro, Sisley and the grand master, Van Gogh. The beneficence of the 9500-work collection funded by the Pola cosmetics company, knows no bounds. TIP: Lunch at the minimalist design restaurant with glorious views, then stroll the forest nature trail. 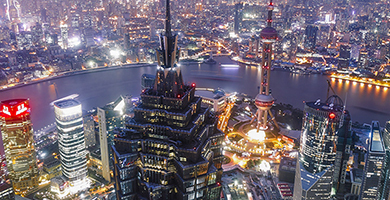 Tokyo has countless museums, but these three are private philanthropy driven chart-toppers. 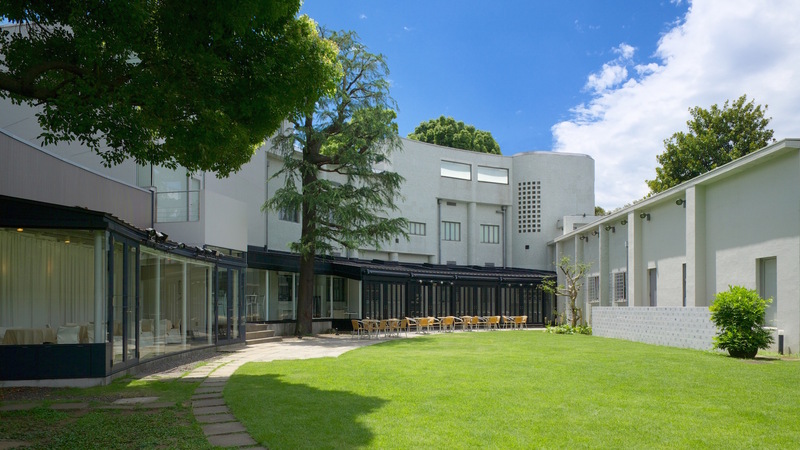 Businessman Kunizo Hara, one-time chairman of Japan Airlines, bequeathed his Deco-era Bauhaus-style white mansion (a rare example of Japanese modern architecture by Jin Watanabe) and its garden in a residential pocket of Shinagawa district to house the works of contemporary icons like Calder, Rothko, Jackson Pollock and Andy Warhol. TIP: Check ‘What’s On’ guides for rolling exhibitions, typically six a year. 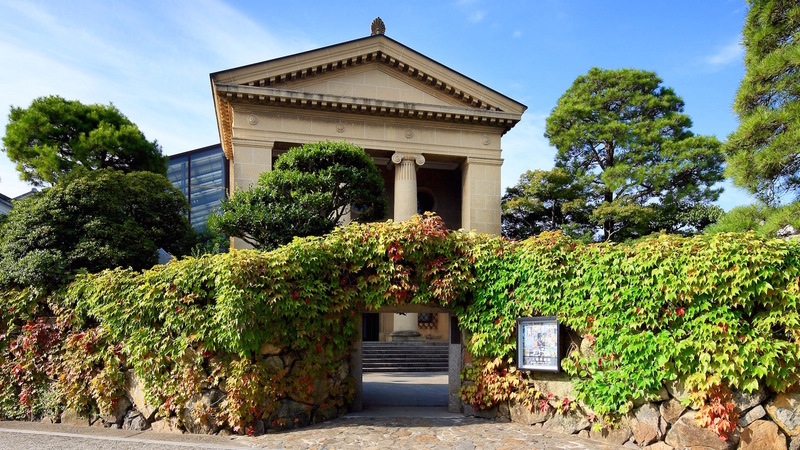 Nezu Museum exhibits the Japanese and East Asian collection of ardent arts philanthropist Nezu Kaichiro, whose fortune was built on railways, gas and other essential infrastructure. It is housed on the site of the family’s remodelled residence in downtown Tokyo. Come here to marvel at the finesse of Japanese ceramicists, calligraphers, lacquer artists and screen painters. And to ogle the iconic gold screen with irises by Ogata Korin. 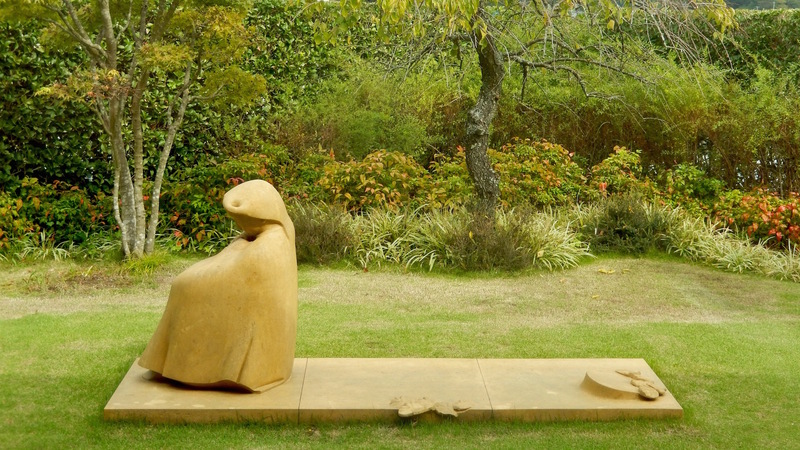 TIP: The museum’s Zen garden café emanates wabi-sabi, a haven away from Tokyo’s hustle. Amazing what a distillery can achieve when the company-funded art museum’s slogan is ‘art in life’. Suntory has also focused its 3000-piece collection on Japanese arts and crafts. Located in the glitzy Midtown shopping complex in downtown Roppongi, it offers an unexpectedly pleasant break from shopping. TIP: Regular tea ceremony demonstrations create time for contemplation.